Wisdom of Life. : Criticism could be appreciated. A keen reader of mine, Ah Fai, though young but wise in mind, shared some meaningful thoughts with me. He said...to produce a light, we need positive and negative energies. Both negative energies cannot produce light. Positive and negative forces produce light that will enlighten heart and mind. There is always a both side of this world....The good and the bad, the beauty and the ugly.....therefore this can make us more wiser and open minded. Man as 'yang' in energy uses stronger words than women of 'ying' energy, are more emotional. Women comments are not so blunt and direct than men. This is brilliant!! Short and precise all words were from him. With his permission I like to share his simple explanation. Conclusion...without criticism, one won't learn. With criticism, we learn to appreciate more of life. Thank you for all the comments forwarded lately. You guys are teaching me to grow wiser and understand life better. A humble salesman who tries to write and share for the benefits of others. A million thanks and a kiss for all my readers. Food for the thought - "Criticism is more effective when it sounds like praise." — Arnold H. Glasow. my sifu say little darling also do wayang kulit meh? I am not totally a perfect man but i tried to be one. I only know how to have a sincere heart to make others happy. My humour might be considered playful to those who don't understand me yet but those who understand know laugther is the best way to live on Planet Earth. Your question sets to me tells me you are quite similar like my character. I am the naugthty elder brother and u are the playful younger one. 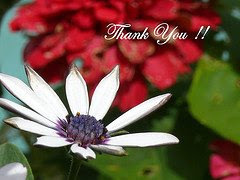 Thank you for reading my blog and your compliments. You make my day. Curious...who is your sifu lah? hi, dear Robert,you are right.As far as it is humourous, i dun care if you are boastful or sincere.I< at the age of 59, also ga round to " boast", it seems those who understand me also enjoy my way.Recently I even register myself as a member of " Da Pao Gong Hui " in Manjung,how nice it will be if you stay in Manjung,ha....ha. You ha! ha! and I hi! hi! My sifu also say that the second time you get kicked in the head by a mule, it's not a learning experience. Thank you for this powerful phrase.